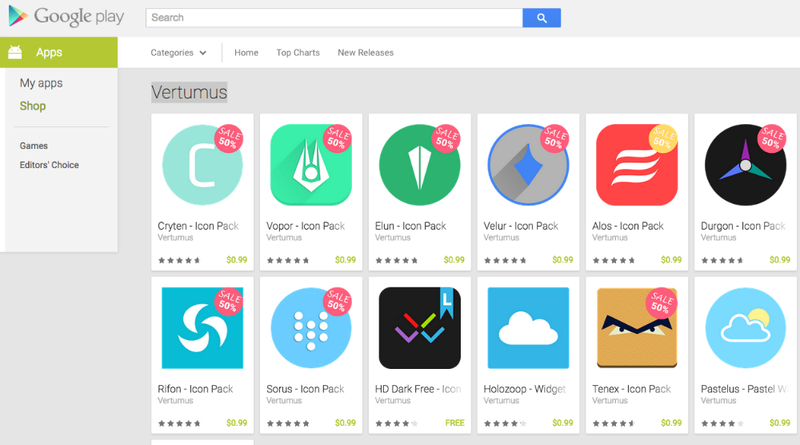 For a period of time, folks who enjoy a good icon pack should head into Google Play and look over Vertumus’ offerings. He is the maker of many good icon packs, a few of which I own, including Cryten, Velur, and Elun. The packs of his that I enjoy the most are definitely the circular ones, but there is easily something for everyone. If you enjoy a more squared approach to icons, you can try Vopor or Alos, both of which feature a squared, more minimal look. With each icon pack comes a good helping of wallpapers, so your $1 purchase becomes well justified. Time to put that Google Opinion Survey money to good use.